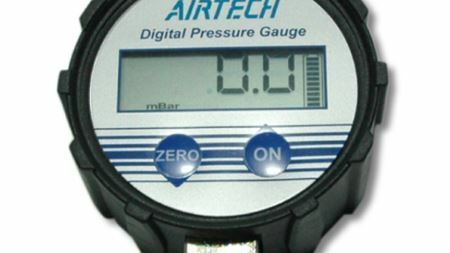 Airtech has introduced the New Vac-Gauge 40D, a versatile digital vacuum gauge used for leak detection and vacuum determinations under a vacuum bag. Composites Evolution has appointed Jacomp Oy as distributor of its Biotex range across Finland and Estonia. This year the COMPOSITES EUROPE trade show is joining forces with the nova-Institute to organise an exhibition stand focusing on bio-based composites. Graphene and carbon nanotubes combine to make spaser for future flexible electronics. Superconducting nano-mechanical resonators made from boron-doped diamond could find application in quantum opto-mechanics. Composites UK is launching the Composites Assured Practitioner, or CAP, scheme. Carpenter Technology Corporation has reported Q3 net income of US$30.6 million, compared to US$32.9 million share in the same quarter last year. Scientists found that the size of the impurities determines whether the wire’s superconducting properties are either hindered or improved. Plastic deformation of two-phase Cu-Ag alloy containing precipitates spontaneously creates surface nanolayers that reduce wear. Scientists have mimicked these viral tactics to build the first DNA nanodevices that survive the body's immune defenses. An team based at Trinity College Dublin has demonstrated a new approach in producing high-quality graphene using a commercial blender. Particle size reduction specialist Union Process Inc has been certified to ISO 9001:2008 for design. Researchers observed experiments for the first time in highly charged ions. Polystyrene nanospheres have been shown to improve the conversion efficiency of silicon solar cells. A team of nanotechnology researchers have discovered new methods to build heat resistant nanostructures and arrays using RNA. Sandvik Coromant has been awarded Partner of the Year by Okuma America Corporation, a manufacturer of CNC machine tools. Plastic-magnetic sandwich bridges gap between data storage and transmission. 3D Material Technologies (3DMT), a division of ARC Group Worldwide, has launched an online quoting system for 3D printing on its website. Hexagon Composites' subsidiary Hexagon Ragasco has received a US$13.6 million order for the supply of liquid petroleum gas (LPG) cylinders to Iraq. Airborne Oil & Gas has secured an order for multiple flexible risers and jumpers from OneSubsea™. Hitachi Chemical has completed its “merger by absorption” of Hitachi Powdered Metals Co Ltd (HPM), its wholly owned subsidiary. Scientists have turned to nature to develop a 3D vascular system that permits high-performance composite materials. A group of scientists have demonstrated a supercapacitor made from freestanding films of carbon nanotubes. 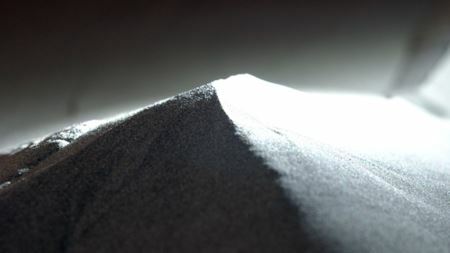 The global titanium concentrates production is poised for sustainable growth, and in 2018, it will likely exceed 8.5 million tonnes, says a new report. The US Society of Manufacturing Engineers (SME) has appointed Kevin Ayers as industry manager of additive manufacturing (AM) and 3D printing. Metaldyne, a supplier of PM automotive components, has been named a GM Supplier of the Year. SKF reported SEK16,734 million in net sales for Q1 2014, compared to SEK15,152 million in the same period of 2013. 270 MW South Kent Wind farm has the capacity to power approximately 100,000 Ontario homes annually. Nanotechnology has unlocked new pathways for targeted drug delivery, including the use of nanocarriers, or capsules. Scientists may be able to develop new techniques to eliminate charge stripes and help pave the way for room-temperature superconductivity. Particle size reduction specialist Union Process, Inc has built two twin S-400 Attritors for grinding alumina. Researchers have succeeded in creating a surface on nano-sized cellulose crystals that imitates a biological structure. Scientists at MIT and the City College of New York have achieved imaging excitons’ motions directly. LANXESS and EconCore NV are joining forces to produce honeycomb core materials from LANXESS' Durethan polyamide resins using EconCore's patented process. Miba has opened phase II of its Suzhou Industrial Park in China, tripling the plant’s production area. Miniaturized optical frequency comb sources allow for transmission of data streams of several terabits per second over hundreds of kilometers. Researchers have discovered a way to use existing semiconductors to detect a far wider range of light than is now possible, well into the infrared range. Exclusive agreement covers the supply of composite structures to produce the nacelle casings for Alstom’s Haliade™ 150-6MW wind turbine. Hutchinson has formed the Composite Technical Center (CTeC). Finnish laser coating specialist Picodeon has appointed Fergus Clarke as CEO. Researchers have created a compound semiconductor of nearly perfect quality that can manipulate light energy in the mid-infrared range. Porous silicon manufactured in a bottom up procedure using solar energy can be used to generate hydrogen from water. Airtech has developed Wrightlease 2R, an extruded fluoropolymer film coated with rubber-based pressure sensitive adhesive. Find out what news was most popular with visitors to our website in March. New paradigm for "unconventional superconductors"? An international team of scientists has reported the first experimental observation of the quantum critical point (QCP). At the SAE World Congress in Detroit, USA, Granta Design has launched the Automotive Material Intelligence Consortium (AutoMatIC). Arburg’s managing director (MD), Herbert Kraibühler, has retired after 50 years of service. A research group has developed a new responsive coating for implants used in surgery to improve their integration into bone and to prevent rejection. Prototype specialist Proto Labs Inc now offers metal injection moulded (MIM) parts as a standard option in its Protomold injection-moulding service. Kennametal CEO Carlos Cardoso has addressed the image problems manufacturing in the US has according to the American public. AniForm Engineering has released AniForm Suite. H.C. Starck posted sales of €703.9 million in 2013, below the previous year’s figure of €862.9 million. German company BCT GmbH has introduced new automated systems for composite post-machining and composite repair. An associate professor and her collaborators have developed an essential component of these new computers that would run on light. A study of self-assembled silver-based structures known as superlattices has revealed an unusual and unexpected behavior. The UK wind sector, which increased by nearly 50 percent to $5.9 billion, drove the increase. Researchers found that the semiconductor indium nitride (InN)will emit green light if reduced to 1 nanometer-wide wires. A research group has reported, for the first time, gas detection properties in nanorods of silver tungstate in its alpha phase (α-Ag2WO4). Dow has added the VORAFORCE TW 1100 series of polyurethane systems to its product range. Harper International has secured recent contracts worth $38 million for its production scale carbon fibre conversion line. Researchers have discovered a new mechanism for using light to activate drug-delivering nanoparticles and other substances inside the body. China's caps on exports of rare earth elements break global trade rules, according to a World Trade Organization (WTO) panel ruling released on 26 March. Johns Manville has introduced a new chopped strand glass fibre for high performance polypropylene (PP) – ThermoFlow 636. Owens Corning has introduced an enhanced WindStrand® Type 30® roving products range for weaving fabrics. Polish GRP manufacturer Markos has increased its production volume of wind turbine nacelles (including hub covers) to 14 sets per week. Morgan Advanced Materials has appointed Martyn Cook to the management team at its Composites & Defence Systems business based in Coventry, UK. Scientists from Universidad Carlos III in Madrid (UC3M) have developed a new type of tidal energy generator using magnetic MIM parts. Researchers have found that a nanoparticle trapped with laser light temporarily violates the famous second law of thermodynamics. Using an acoustic metadevice that can influence the acoustic space and can control any of the ways in which waves travel. Take a look at the most popular news stories in materials science during March 2014.